A lot of folks think of “vanilla” as plain and just uninteresting. If that’s the case, then why is it the most popular flavor of ice cream? Yes, you scream, I scream, we all scream for National Vanilla Ice Cream Day! A lot of folks think of “vanilla” as plain and just uninteresting. If that’s the case, then why is it the most popular flavor of ice cream? Probably because it goes so well with everything! Here’s a little background on National Vanilla Ice Cream Day. 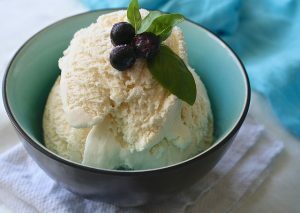 Did you know that Thomas Jefferson loved vanilla ice cream? Our third president’s love of the sweet treat traces back to his time in France, propagating the belief that Jefferson may have been responsible for bringing the dessert to America. According to Monticello.org, by the time he was elected President, Jefferson’s love for the frozen dessert had become evident. Apparently, visitors reported being served the ice cream several times during his presidency and Jefferson produced a handwritten copy of a vanilla ice cream recipe in the 1780s. The Library of Congress houses the original Jefferson recipe. Of course, a lot of folks, when eating ice cream, report some pain associated with the coldness of the treat. This is common and can be aided with a desensitizing toothpaste. Read more here. Ask your friends at Longmeadow Family Dental Center for their advice on which type to choose. a technique of administration in which the drug is administered across mucosa such as intranasal, sublingual or rectal.